ten favorite films | Based on truth (and lies). 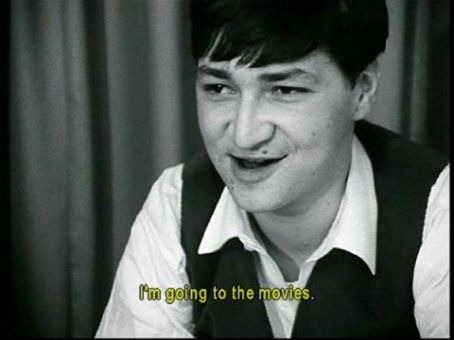 In an interview from 1972 with the film historian Leonid Kozlov, Andrei Tarkovsky listed his ten favorite films. I remember that wet, grey day in April 1972 very well. We were sitting by an open window and talking about various things when the conversation turned to Otar Ioseliani’s film Once Upon a Time There Lived a Singing Blackbird. It was at this point that I asked Tarkovsky if he would compile a list of his favorite ten or so films. He took my proposition very seriously and for a few minutes sat deep in thought with his head bent over a piece of paper. Then he began to write down a list of directors’ names – Buñuel, Mizoguchi, Bergman, Bresson, Kurosawa, Antonioni, Vigo. One more, Dreyer, followed after a pause. Next he made a list of films and put them carefully in a numbered order. The list, it seemed, was ready, but suddenly and unexpectedly Tarkovsky added another title – City Lights. Ordet by Carl Theodor Dreyer (1954) was #6 in the first draft.